Following on the heels of a remarkably successful forgiveness conference in Jerusalem, the International Forgiveness Institute (IFI) is now preparing for its next international conference–this one on January 18, 2018 in Rome, Italy. The magnificent Piazza Navona, one of the most famous of Rome’s many squares. Bernini’s Fontana dei Quattro Fiumi (in foreground of photo) features exquisitely carved figures representing the world’s four great rivers – the Nile, Ganges, Danube and Rio de la Plata. 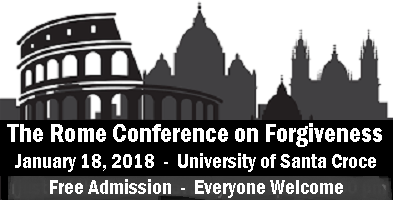 The Rome Conference on Forgiveness is a one-day forum that starts at 2:30 pm and concludes at 7:00 pm at the University of Santa Croce (Pontificia Università della Santa Croce), adjacent to the famous Piazza Navona. Dr. Enright added that the theme of forgiving within the Abrahamic traditions will be another important topic with a focus on helping youth within those traditions learn to forgive. Dr. Enright has developed Forgiveness Education Curriculum Guides for students in pre-school through 12th Grade. Those Guides are now being used in more than 30 countries around the world. The Colosseum has long been one of Rome’s major tourist attractions, receiving close to seven million visitors annually. 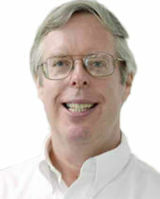 Dr. Robert Enright, the acknowledged pioneer in the social scientific study of forgiveness, founder of the International Forgiveness Institute, and Professor of Educational Psychology at the University of Wisconsin, USA, will discuss the science of forgiveness education. Annette Shannon of Holy Cross Girls Primary School in Belfast, Northern Ireland will focus on the direct application of forgiveness education in her school. Dr. Barbara Marchica, Catholic theologian, pastoral counselor, and teacher in Milan, Italy will examine forgiveness and forgiveness education in a Christian context. Peta Pellach of the Elijah Interfaith Institute in Jerusalem will give a talk on forgiveness and forgiveness education in an Orthodox Jewish context. Omar Al-Barazanch, the new Iraqi ambassador to the Vatican, will discuss the theme of forgiving from the Islamic perspective. Alison Sutherland of the Rotary Action Group for Peace will explore worldwide issues of forgiveness particularly for youth in war-torn areas. Grammenos Mastrojenni of the Italian Foreign Affairs Ministry and the Honorable Paola Binetti of the Italian Parliament will give talks on how forgiveness can be part of dialogue and political discourse. Mons Mariano Fazio, Vicar General of Opus Dei, will discuss the teachings on charity and forgiveness of St. Josemaria Escriva, founder of Opus Dei. Learn to Forgive? Who, Me? Why? How? You can now access the answers to all those questions from the comfort of your own home. Dr. Robert Enright, dubbed “the forgiveness trailblazer” by Time magazine, has helped thousands of people improve their lives by discovering and learning how to practice forgiveness through his one-day in-person workshops. Now that same remarkable forgiveness process, presented by Dr. Enright himself, is available to you via recorded audio right in your own home. Based on his 33-years of peer-reviewed, empirical scientific research, Dr. Robert Enright will help you discover and learn a step-by-step pathway to forgiveness. This 6-hour audiotaped workshop will enable you to develop confidence in your forgiveness skills and learn how you can bring forgiveness to your family, school, work place and community for better emotional health. • Forgiveness is NOT reconciliation, forgetting, excusing or condoning. • Forgiveness does not get rid of the injustice but the effects of the injustice. • Forgiveness cuts across many different philosophies and religions. • The benefits of forgiveness are significant: scientific analyses demonstrates that considerable emotional, relational, and even physical health benefits result from forgiving. This course is offered by the University of Wisconsin-Madison Continuing Studies which is approved as a provider of Continuing Education credits social workers, counselors, therapists, psychologists, and more. Registration fee is $95. Start anytime, complete within 1 year. REGISTER ONLINE or register by phone at 608-262-2451. For additional information, contact Barbara Nehls-Lowe, UW-Madison Continuing Studies Outreach Specialist: 608-890-4653. 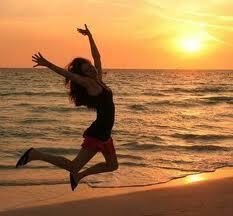 Events, Forgiveness News, IFI News, NewsEducation, Forgiveness Process, Forgiving, Why Forgive? Within psychology, power is seen as having influence over others, whether of the benign kind (such as an authority directing others) or the coercive kind (manipulating and controlling others). Friedrich Nietzsche (1881/1997), the 19th-century German philosopher, talked about the “will to power,” suggesting that the quest for power is a major human motivation. In their now classic analysis of power, French and Raven (1959) identified legitimate power (the benign kind above), referent power (drawing others to the self for the self’s benefit), expert power (the ability of others to listen and follow), reward power (being able to reinforce others), and coercive power (already mentioned). We propose five power-themes rarely discussed. We do so to challenge you: Do you use any of these aspects of power? In virtually all of the social science literature, you will see a hidden assumption: All power is over others and for the self, even if it is benign and reward-producing. Yet, there is another form of power in need of exploration, what we call here power-for, meaning an altruistic form of power in which the power-wielder aids those in need, suffers for others, and builds others up. Read the rest of this blog by Dr. Robert Enright in Psychology Today. Does Forgiveness Victimize the Victim? In the latest round of false criticism against the moral virtue of forgiveness, we find this: Forgiveness places an extra burden on victims because they already are burdened by injustice. Now asking them to forgive or even assisting them in forgiveness adds a new challenge, a new burden and this is unfair. Leave the victim alone, is the advice. Let us examine this claim of a new unfair burden in forgiving. Suppose that Person A deliberately hits Person B’s knee with a baseball bat, breaking the knee. Person B has a burden: the broken knee and the resentment toward Person A. If Person B now wishes to take seriously the responsibility for physical healing, should this person now go to the emergency room and endure the bright lights and the MRI and the surgery and the physical rehab? Or, would this be too much of an added burden for Person B. Perhaps it is unfair to encourage Person B to seek medical help……if we follow the logic of the forgiveness criticism. Yet, this added burden of medical care, which can be a challenge, is hardly a burden relative to living with a broken knee that may not heal well with the resultant pain and limp that may last indefinitely. The “burden” of healing is not nearly as troublesome as the burden of neglect of the injury. Now let us turn back to the argument against forgiveness. Let us even stay with the baseball bat incident. Person B not only has a broken knee, but now also a broken heart from the shocking and unexpected incident. Is it a burden to assist this person in healing the broken heart? Should we just let the victim be? Should we just let the victim live with the broken heart…..perhaps for the rest of the person’s life? Do you see how this latest criticism against forgiveness is false? Do you see how the major problem is the error in thinking by the critics and not in forgiveness itself? When a person is morally injured, it seems to be charitable to offer healing. Yes, healing can be challenging, but ignoring healing can be much worse. Misconceptions, Our Forgiveness Blogforgive, forgiveness, Forgiveness Process, Misconceptions, resentment, Why Forgive?